There is no single path to cloud nirvana. That's why a multi-cloud strategy is important. The choices of public cloud, hybrid cloud, Infrastructure as a Service (IaaS), Platform as a Service (PaaS), and build or buy, can inflict analysis paralysis on even the best decision makers. Instead of going all in on a single strategy, enterprises should employ a variety of approaches to successfully move their IT environments to the cloud. 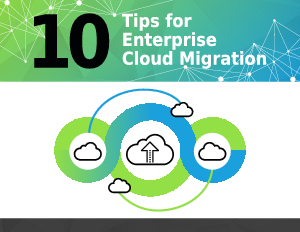 Here are some of the most common strategies for enterprise cloud migrations.